So, starting over is hard. I've been working my behind off for the past two years with grad school and multiple jobs and trying (mostly failing) to maintain a healthy sleep schedule. Unfortunately, something had to give and that something was my little slice of the internet. 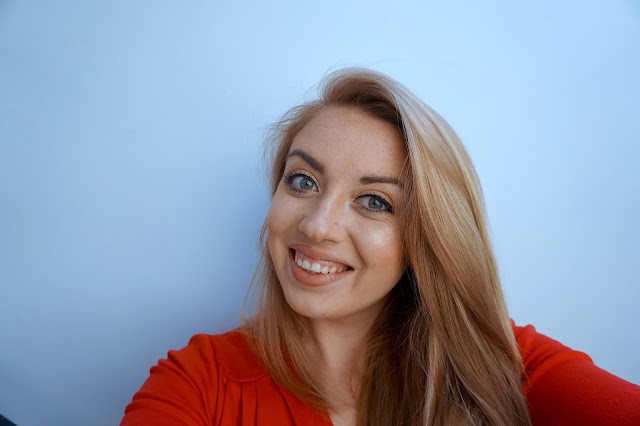 So, yeah, starting over is hard, but I'm so excited to re-dedicate time to this blog ... and to catching up on those Zzzs that I've been missing! 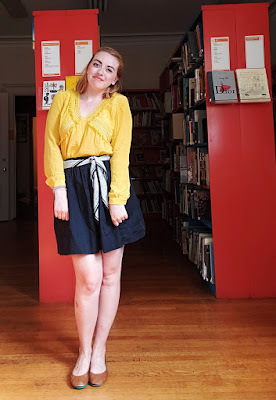 To start off on a sunny note, I'm sharing one of my favorite outfits with a pop of yellow! I've been playing around with mixing and matching higher end pieces with bargain/less expensive finds. 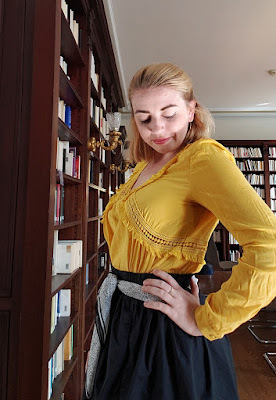 This is a trend you will definitely see play out in my outfits going forward! For example, this incredible top - with all its textures details and beautiful marigold tone - is from french brand Sézane. 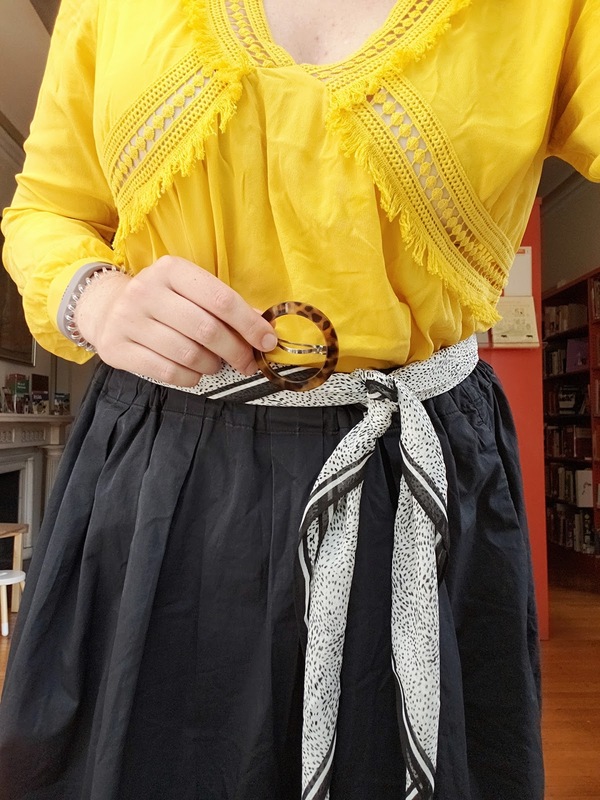 It pairs so well with this skirt (has POCKETS) from Everlane and accessories from Target. I rounded it off with some extremely comfortable ballet flats that I keep at work - they're available in a plethora of colors, patterns, and materials from Tieks. 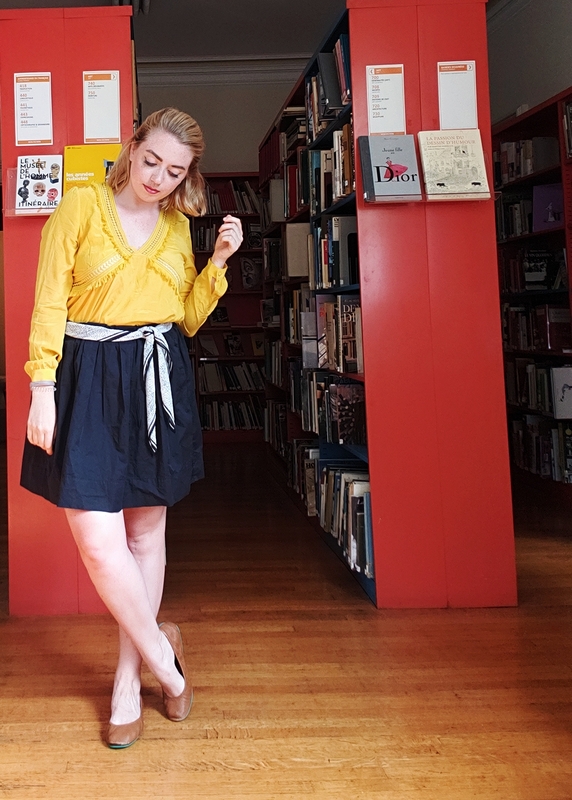 For me, there definitely feels like there's a difference between the brands I mentioned above... though, that could just be my francophile self giving more love to Sézane than the others! I was able to snag most of these items for a decreased price on Poshmark! 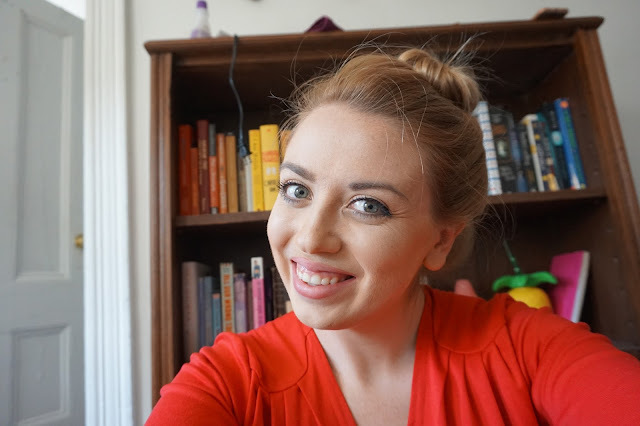 I purchased the scarf and barrette in-person at Target, but haggled the rest into my closet at half (or more!) off. 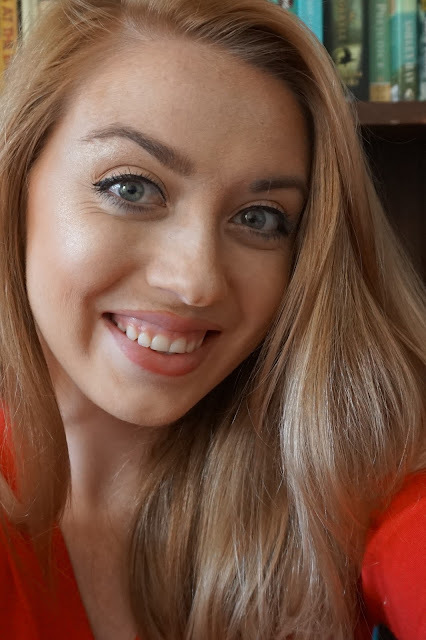 Have you used Poshmark before? I mainly use the app for shopping/ purchasing, since I'd much rather gift hand-me-downs to friends. 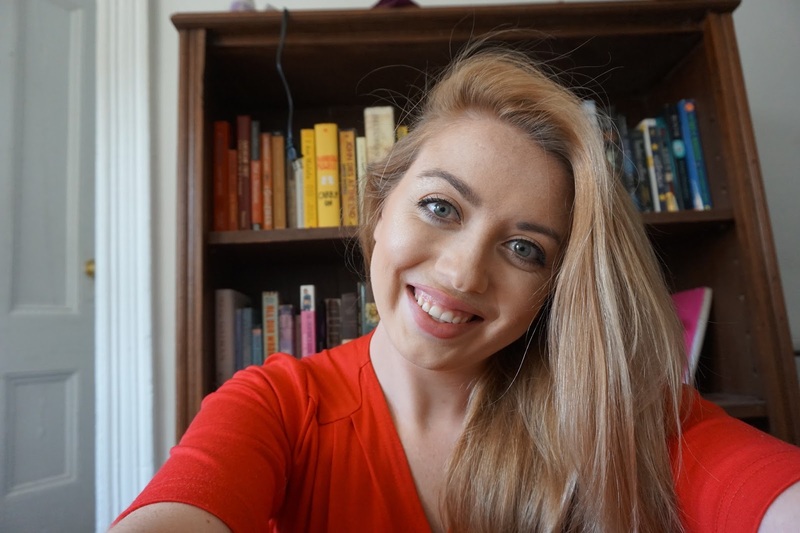 Have you used Poshmark before? Let's talk sonic skincare with Clarisonic and Her Campus! AKA guess who hasn't broken out in weeks?! This post is sponsored by Clarisonic and Her Campus Media. All opinions are my own. Thank you for supporting the brands that make smilingrid possible! HOW is it already November? Maybe it's because Halloweekend wasn't a multiple week affair (just little post-grad things), but it felt like October went by in a flash! That's not to say that I didn't clog my pores with facepaint and crazy makeup (or my stomach/arteries with candy). 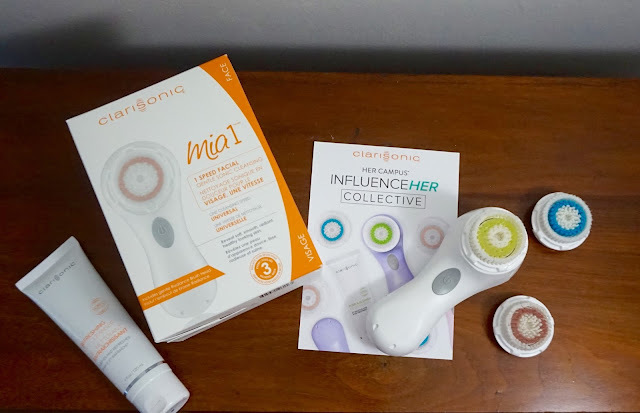 If you've seen my rendition of the Joker on the grams, you'll totally understand why I'm calling reaching for the big guns in my skincare collection ... yeah, I'm talking about the Clarisonic Mia 1 and all the accessories! Sonic cleansing - aka "that deep pore ish" - removes all the dirt, oil, and debris that makes your skin sad and irritated. 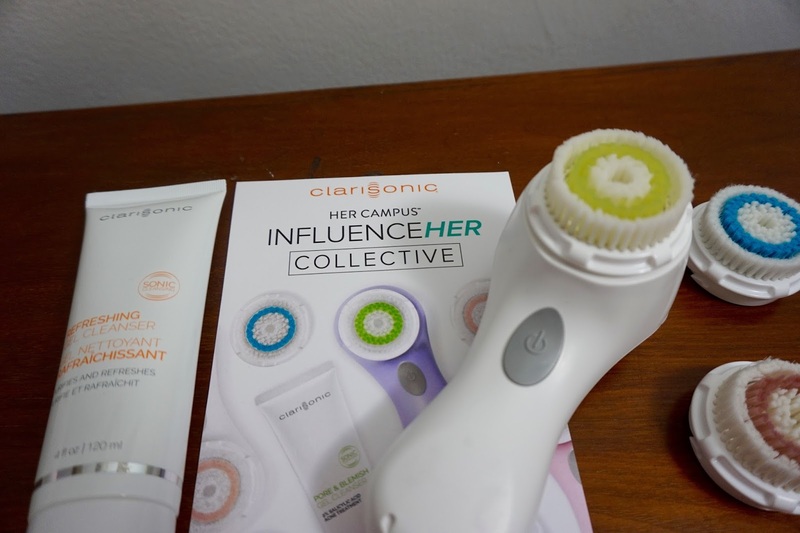 Clarisonic is the super gentle way I keep my skin from prematurely aging and/or breaking out! I've been deep washing my face with my Mia 1 and Clarisonic's Refreshing Gel Cleanser and following it up with my Curology overnight treatment and I literally haven't broken out in weeks. IN. WEEKS. This is miraculous for me, let me tell you. The Mia 1 is a $129 USD value and the perfff introduction to sonic cleansing your radiant face! It's a one-speed machine that gets the job done while being suitable for all skin types. And when I say "gets the job done?" Yeah, it does its job SIX times better than your hands ever could. And when paired with its buddy the Refreshing Gel Cleanser? Skin changing. This baby is awesomely bubbly as well as PH balanced, paraben-free, soap-free and dermatologist tested. Then there are the brush heads! I swear opening this bad boy up felt like Christmas morning... hint, hint, this would make an amazing gift! The Radiance Brush Head (pink) comes with the Mia 1 and is awesome for just about every skin type. 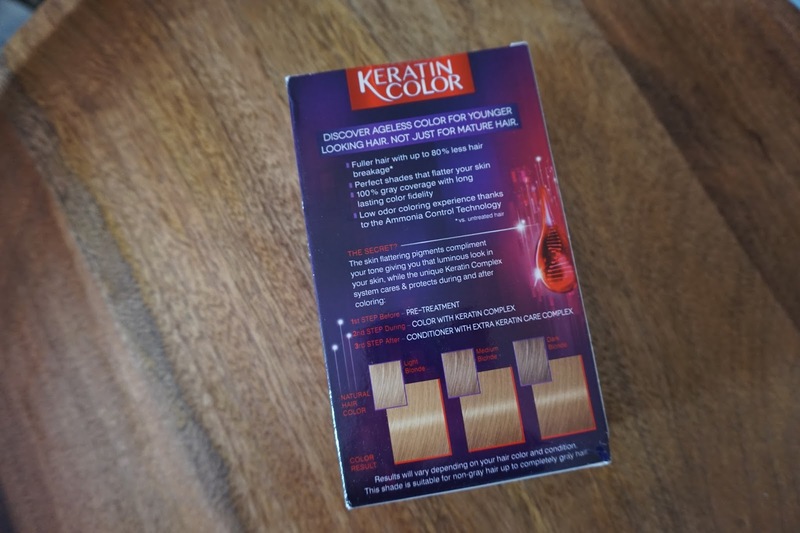 It has extra fine bristles which feel amazing and leave skin extremely clean! The Deep Pore Brush Head (blue) is made for those with enlarged pores, using graduated dual-action bristles to really clean out oil and debris that clogs things up. 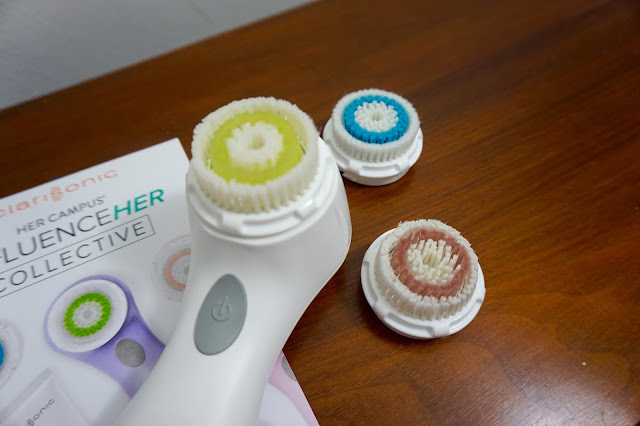 The Acne Brush Head (green) does what it says on the tin and then some : helps fight acne on sensitive, oily, and acne-prone skin. I'm seriously obsessed with this. My current skincare routine using the Clarisonic Mia 1 leaves my skin feeling clean without feeling tight and chemical-y dried out. I really like that they give you recommendations for how long to circularly clean different portions of your face (10 seconds each on your nose and cheeks with 20 seconds dedicated to the forehead), that the device automatically turns off after 1 minute, and that it keeps track of how long you've been using a brush head. The whole thing just feels really smart and (obviously) effective that I can't recommend it enough! 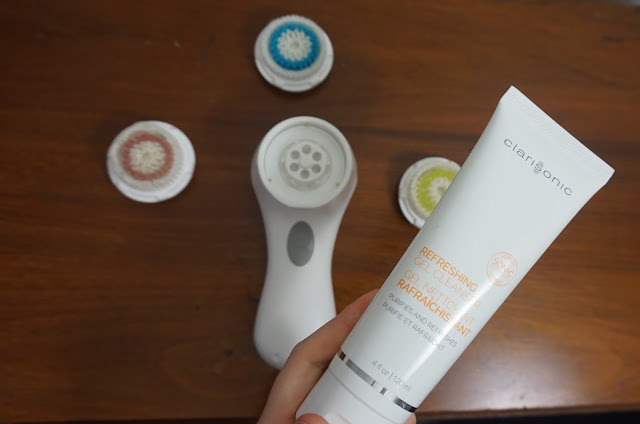 Have you tried anything from the Clarisonic family? If you haven't, now is the time! 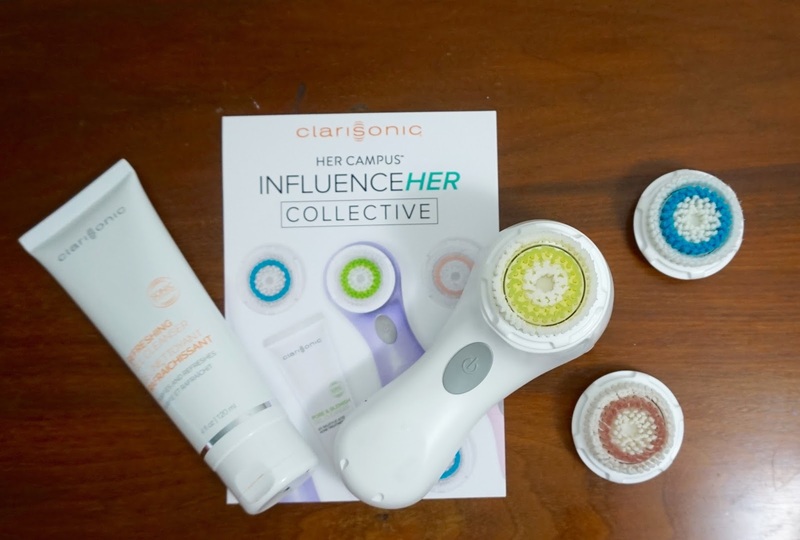 Her Campus is offering 15% off all devices featured at http://www.clarisonic.com/hercampusinfluencer using the code HERCAMPUS Clarisonic also offers monthly payment plans upon credit approval. See terms for details. Plus, like I said above, this is an amazing gift idea! Who doesn't want clear skin for the Holidays/their birthday/literally any day of the year? Pro tip : it also comes in purple! 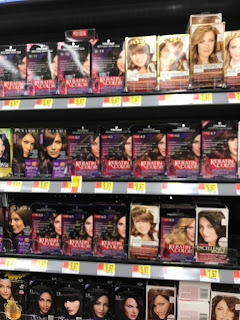 Schwarzkopf Keratin Color at Walmart to Dress for Success Everyday! I've definitely talked about my love of switching up my hair before... and my opinion that Schwarzkopf is THE at-home solution for hair that makes you feel your most confident and super-woman-like! Today, I'm talking about their Keratin Hair Color line, which offers professional quality and flattering colors while caring for your locks! 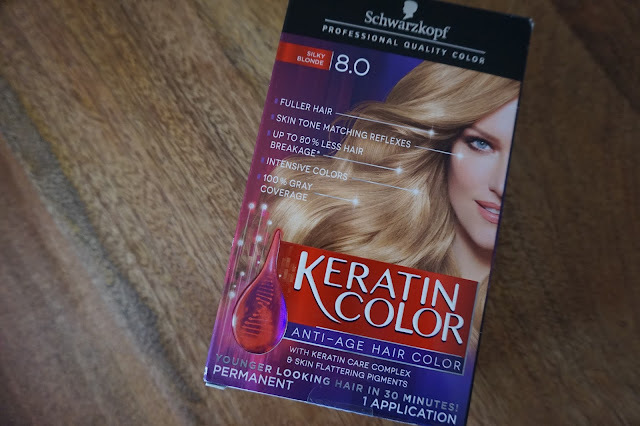 The rich, even quality of the color result, shine and softness of my hair, and minimal hair breakage make Schwarzkopf's Keratin Color the box for me! 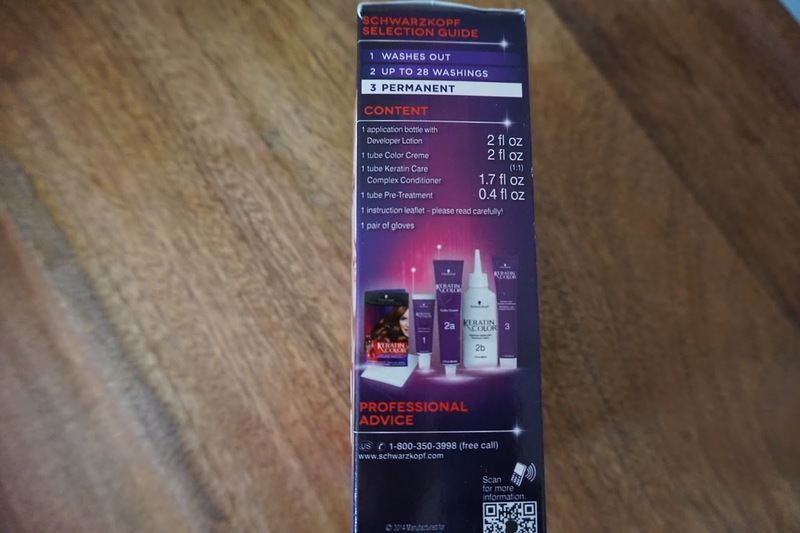 Plus, the clear directions and included gloves make it easy to use PLUS it comes with a pre-treatment cream that starts the whole process off right. I've juuuust begun my first full-time dram job, and I'm now in an environment where less is more in the makeup department. Basically, for me, this means I want to va-va-voom it up in my hair game to feel my most confident! 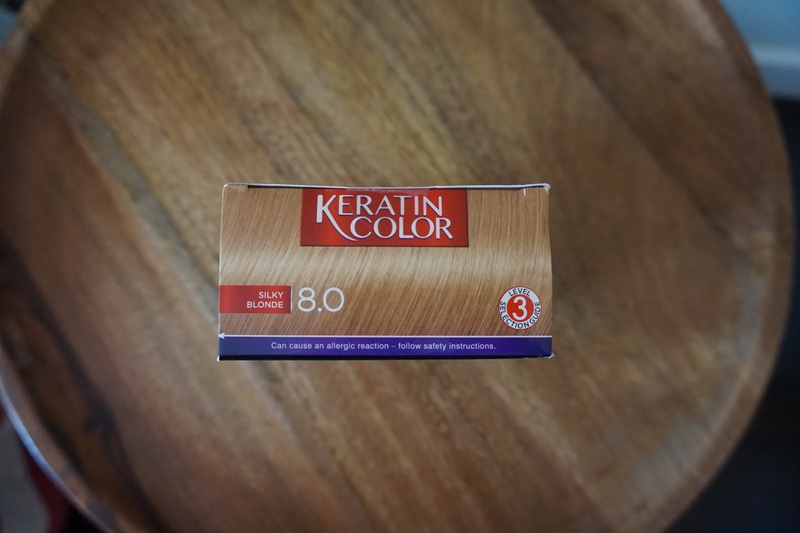 Instead of going super light this time, I'm adding warmer tones to my hair using shade 8.0 Silky Blonde for my favorite fall look. Obviously, before attempting to alter your hair color, the first step is to remove the gloves from the directions and read them carefully! 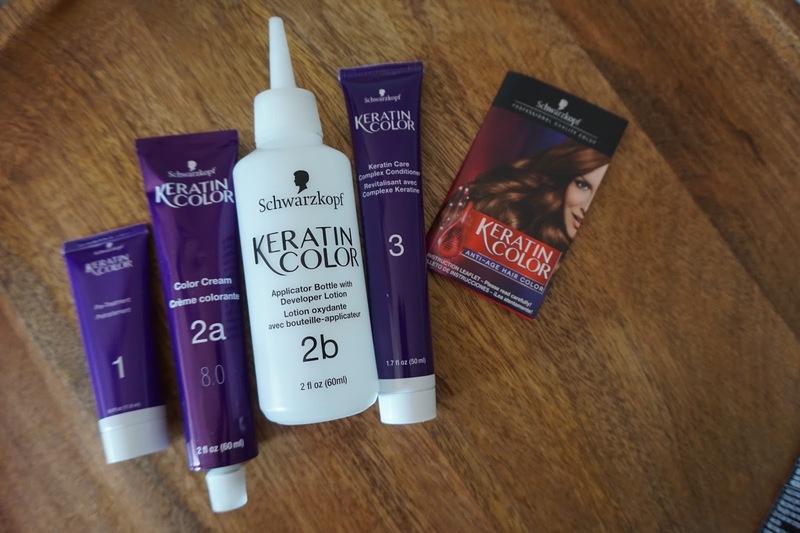 For Schwarzkopf Keratin Color, the next step is to put on your gloves and apply the pre-treatment cream. 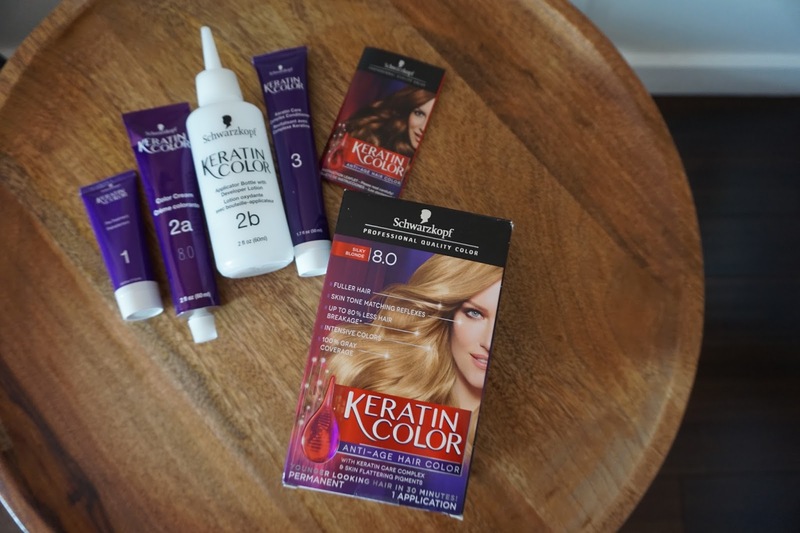 Then I mixed the bottles labelled 2a and 2b together to create my dye (heads up that it's totally normal for it to change colors!). 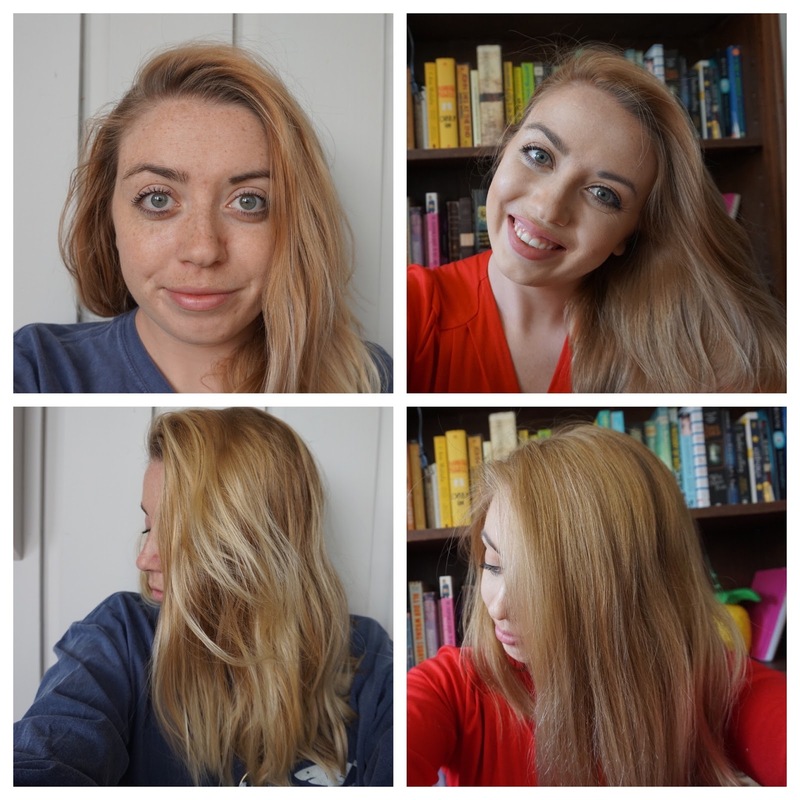 Next for me, because I was dyeing my whole head, I sectioned my hair and applied small amounts of the mixture to my locks, massaging along the way until my whole head was complete! then the waiting set in... after which I used the post-treatment conditioning cream on towel-dried hair and ooh-ed and ahh-ed over my gorgeous color as it was revealed with the drying of my hair! As my schedule is changing with school, work, blogging, and life, I've found myself relying on five things to help me slay the game each day! 1. Planning out the week/the night before hand! My planner gets the weekly and monthly big picture plans, in multiple colors and pens! Meanwhile my wardrobe and lunch plans are made the night before, letting me relax and not worry about my day. Less worry = less tress = more likely to have things go smoothly! 2. Making the most of my lunch break! Related to #1, this obviously includes some delicious food (packed the night before!). For me, getting out of my work zone with a good book, a podcast, or even just space for my thoughts as I sit in the sun or go for a walk! 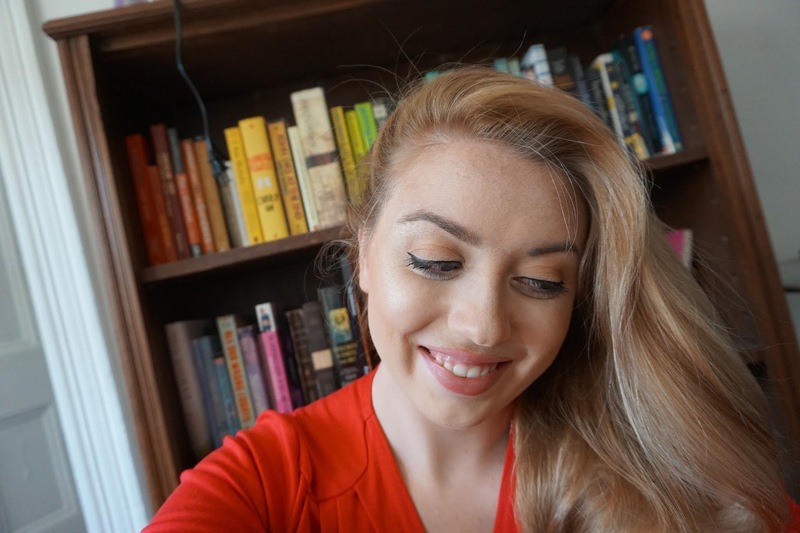 I find that a little self-care goes a long way towards helping me live my best life. 3. Working my workout into my schedule! I feel so incredibly happy and lucky to be able to bike to and from work on my adorable little folding bike! It definitely wakes me up and keeps me energized throughout the day. 4. Catching up with some gal pals! My favorite people are making their ways back to Boston and I could NOT be more excited to meet them for drinks and catching up after work! 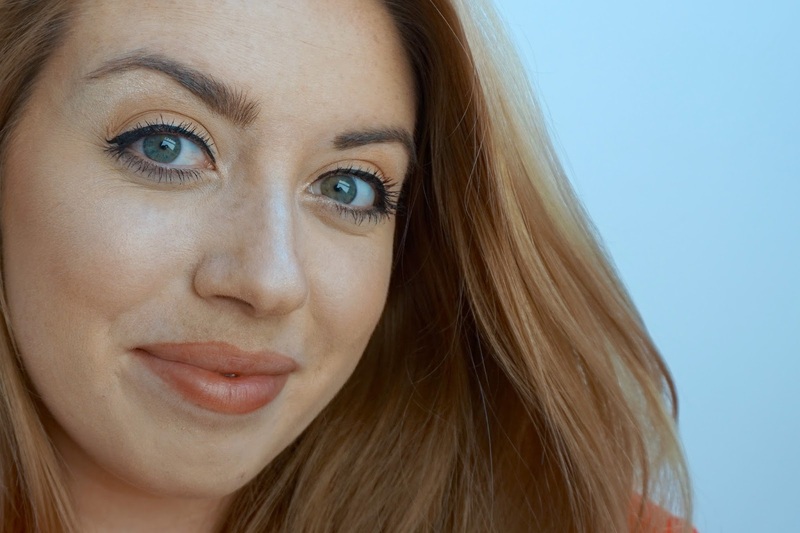 Plus, my minimal makeup can be built up to match the gorgeousness of my hair- if I bring my eyeliner and a bold lipstick to work, I can wing it out and apply my red pout for a night on the town! 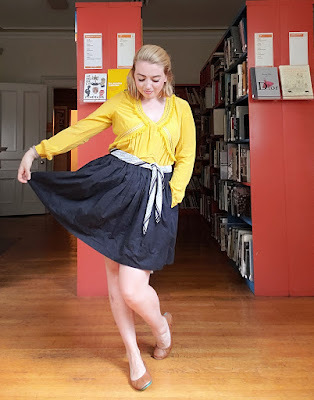 One of my favorite high school teachers would tell us "dress well, test well" as a way to ease nerves before big tests, SATs, and other aspects of a high-intensity school. No one's grading me anymore, but I try to apply this to my every day life. 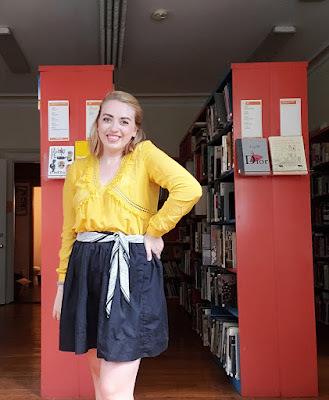 I definitely get a little mood boost when wearing something I love- especially if it's a dress with pockets! I completely and totally believe in the power of a good hair day and a power outfit to change your (and others!) perception of your abilities, something that can definitely change lives. 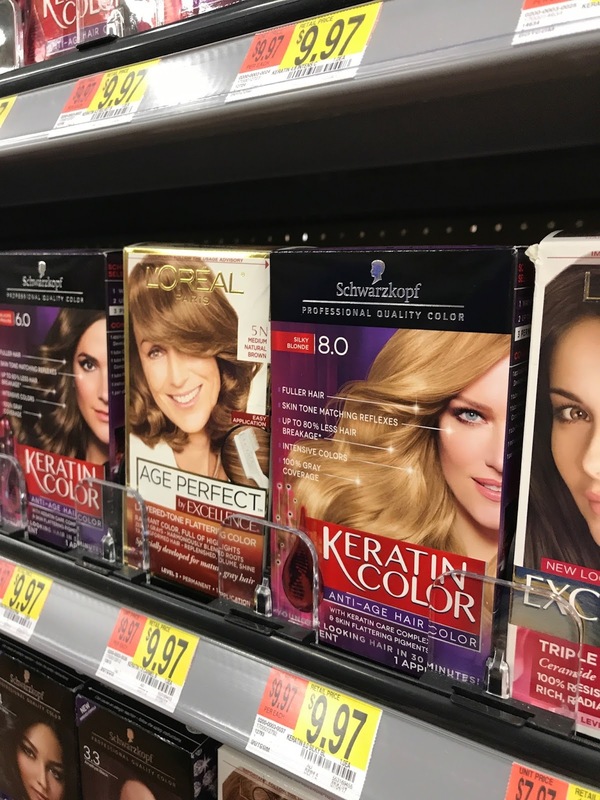 Amazingly, Schwarzkopf is right there with me, serving as proud sponsors of Dress for Success®! Dress For Success Worldwide empowers women by providing them with the tools to achieve their economic independence! 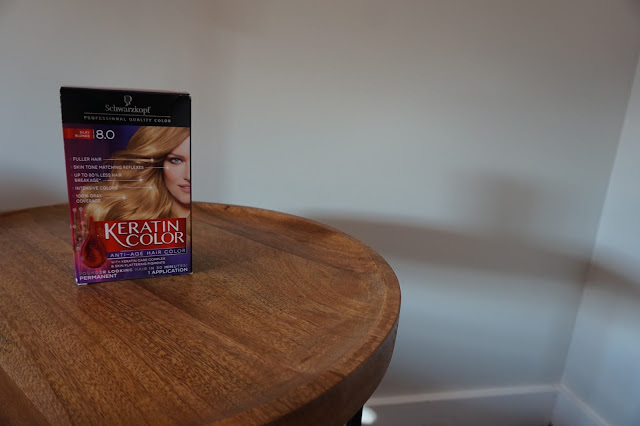 Every purchase of Keratin Color helps women get a fresh start through this partnership. Through education and mentoring, they’re making a difference in communities across the globe- over one million women have been served by this international organization and its programs! 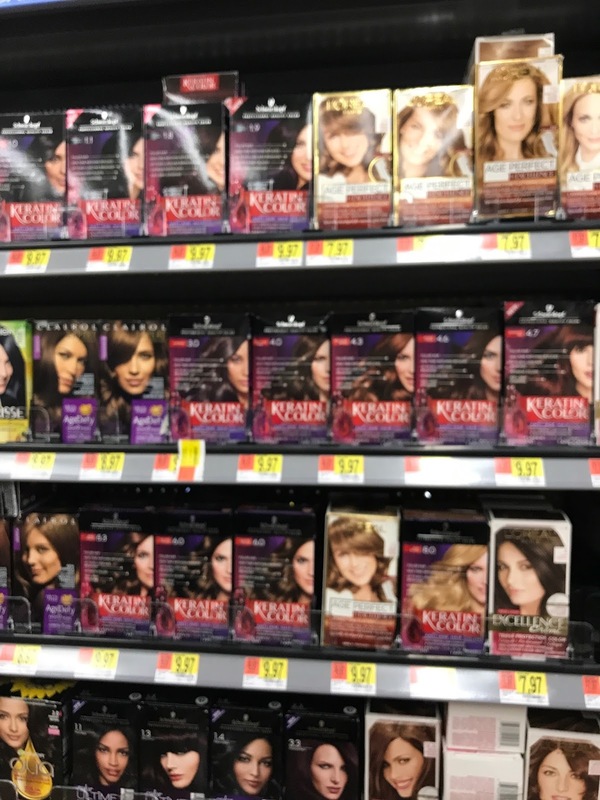 I picked mine up at Walmart and felt so happy knowing my purchase was going towards a cause I believe in! I hope you're living your best and most successful fall! How do you Dress for Success?